Rated Life Sciences PA’s Top Networking Opportunity! More than 300 life sciences industry individuals and exhibitors will gather for relaxed networking and connecting at our Spring Social. Wear your alma mater or favorite college or university attire and play games at the exhibitor booths for your chance to win prizes! 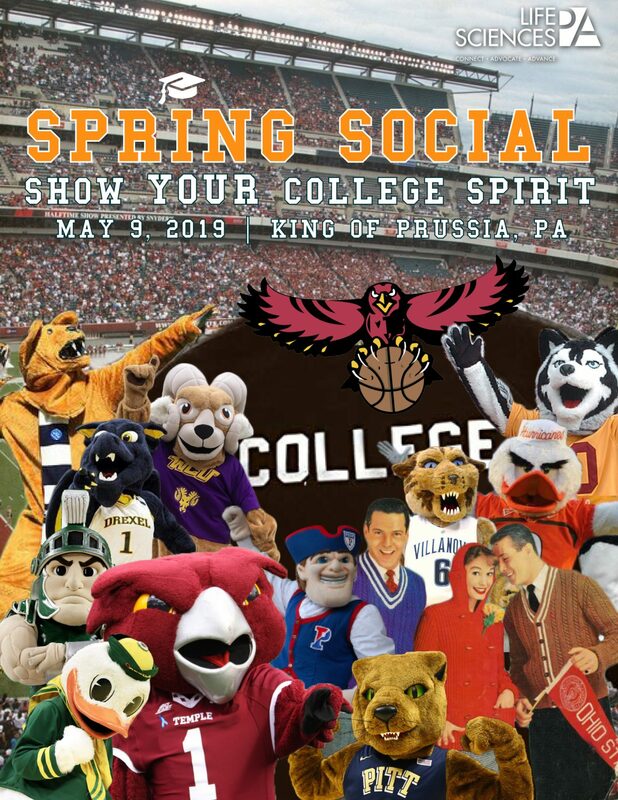 Interested in Exhibiting at the 2019 Spring Social? This is your chance to introduce your product and gain visibility in front of the life sciences community. To learn more about exhibiting at the Spring Social, or for sponsorship opportunities, contact Melissa Callum, mcallum@lifesciencespa.org.